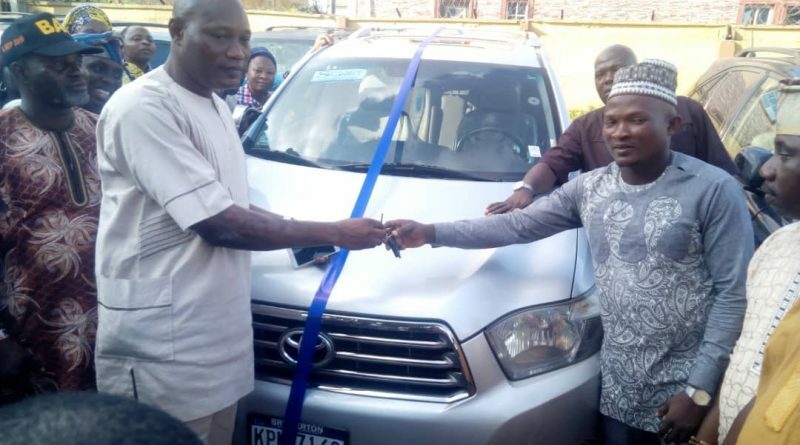 It was another epoch making event on Monday 8th October, 2018 at Ojokoro Council Secretariat when the Executive committee, Management, Staff , Party Faithfuls, Friends and Well Wishers gathered to witness the presentation of official vehicles to the Legislators by the Executive Chairman Ojokoro LCDA Hon. Hammed Idowu D.Tijani. The official Lexus Jeeps and a Toyota highlander that were presented to the Honourable Councillors are meant to improve the effective discharge of their legislative functions and other oversights duties that would bring development to the Land of prosperity. The leader of the House Hon. Abddul-Azeez Osho, Deputy leader Hon Moruf Dauda, Majority Leader Hon. 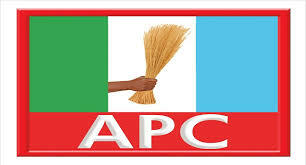 Femi Oke , Chief Whip Hon Tunde Oyekunle , Hon. Taiwo Adeyoola Member, Hon. 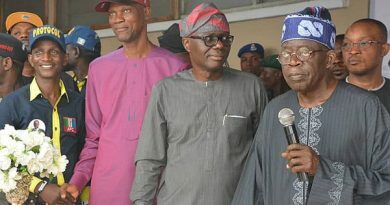 Segun Adeniji Member and Hon. Emmanuel Olootu also a member were all beneficiaries of the noble gesture. 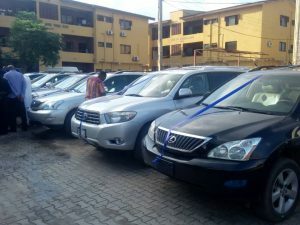 Ojokoro LCDA Legislative Arm official cars. Making the presentation the Executive Chairman Hon Tijani urged the legislatures to continue with the good work they are known for and ensure that the vehicles are adequately taken care and maintained. He stated that this gesture would also be extended to the supervisors , management and Revenue officers. “Since revenue generation is the key in the development and running of organisation’s daily affairs. the Revenue Officers will be provided with Vehicles to enhance their services”. 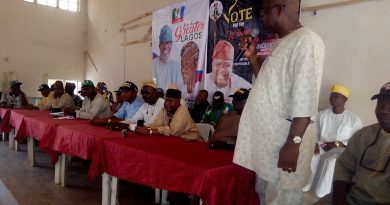 Responding on behalf of the Honourable Councillors the leader of the Ojokoro Legislative Arm Hon. Abdul Azeez Osho expressed his sincere appreciation to the Executive Chairman for the gesture adding that the vehicle would add value to the discharge of their services. The Leader assured all And sundry of continued cordial relationship with the Executive and ,stressing that what is paramount is the development of Ojokoro lcda and provision of good bye laws for the entire residents.